At 800m the biggest pbs were from Ollie McCarthy (u13) who won and ran 2..37.52 for a 9.0s improvement, with Ben Brooks (u17) (8.4s off to 2.19.07) and Maddy Crabb (8.3s off to 2.52.88). James Taylor and Ian Crawley have supplied the latest Fantasy League stats and analysis, which can be found on the FL page. 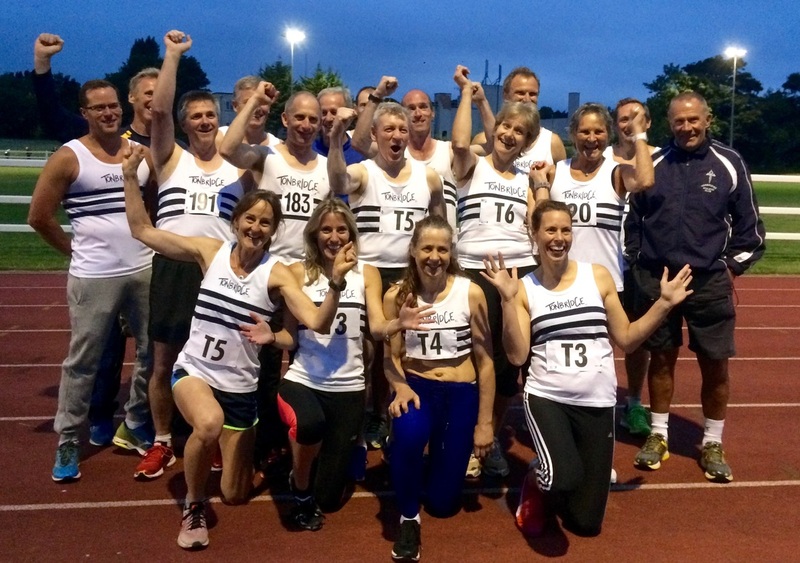 The next Southern Athletics League match is on Saturday 9th July at Crawley. 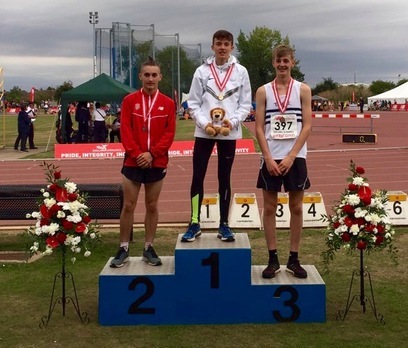 ​Two young distance runners from Tonbridge Athletic Club have been selected to represent Great Britain at the European Youth Championships, in a couple of weeks time. Kathleen Faes and Alasdair Kinloch, will both be part of the 26-strong, under 18 squad, that travels to Tbilisi, Georgia, for the championships that take place between 14th and 17th July. Both Kathleen and Ally have previously gained England Schools selections, but this will be the first time that they have appeared in a GB team. For Kathleen the selection is a reward for her persistence, after a Winter where she had to battle with a niggling injury, that restricted her competitive outings. However, she has bounced back and twice run the European qualifying time for the 3000 metres, for which she has been selected. Her personal best is 9.37.36 and the fifteen year old will be one of the youngest competitors at the championships. Both athletes will be going to the European Championships with confidence, since they are ranked highly in their respective 3000 metres listings. 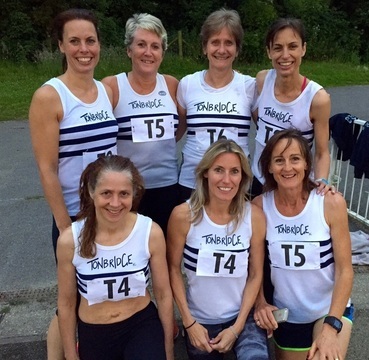 TAC won both the division 2 men's and women's contests on the night and now hold pole position in both leagues. 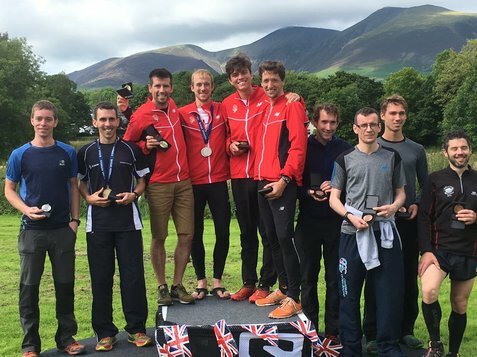 TAC had six distance runners in action at the British Championships, which must be a record for the club. All six of them are just 20 or 21 years old, so hopefully they and others can gain from such experiences and get even stronger over the next few years. Unfortunately, Ashley Gibson had to withdraw from racing in the 5000 metres, due to injury. 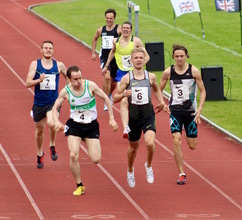 Sean Molloy - Had one of his best ever performances in the 800 metres, as he finished second in his heat on Saturday, which had ten athletes starting. He ran 1.49.42. With four heats and only the winner of each and four fastest losers going through, the qualification was extremely difficult. Sean ran well to finish a close second to eventual silver medallist Jamie Webb to qualify for Sunday's final, where he finished a respectable fifth in 1.50.49. Hopefully, this performance will give him the confidence to go on to greater things. Nicole Taylor - Finished 7th in Sunday's 3000 metres steeplechase, with another very solid race, just outside her personal best with 10.34.49. 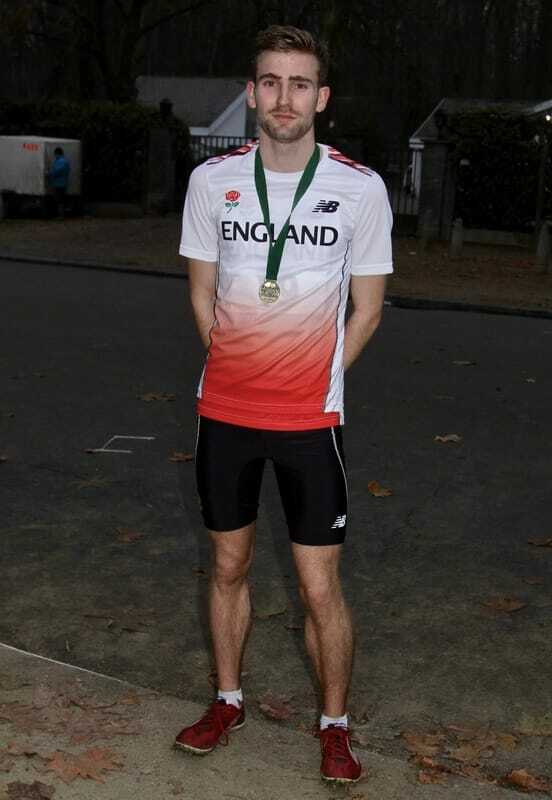 Alex Howard had a disappointing run to finish 15th in the men's race over the same distance on Saturday, having had a terrific performance in the previous week's under 23 championships..
Chris Olley ran an excellent race in the 5000m final, on Saturday, to finish 11th in 14.10.54. Despite the relatively slow start to the race, Chris took almost eight seconds from his personal best. 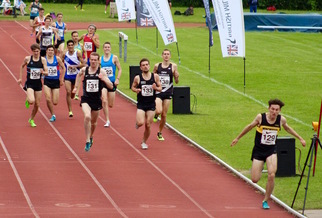 We had two representatives in the men's 1500m on Saturday, as James West went in heat 2 and Dominic Brown in heat 3. Once again the qualification was tough, with the top three from each heat and three fastest losers going through to the final. James was very unlucky not to make it as he finished 4th in his heat, just 0.2s behind third, with 3.46.67. After two of the three heats he was in the first fastest losers spot, but the final heat went at a quick pace and six athletes qualified from that race. Dom was 12th in this one with 3.50.81. 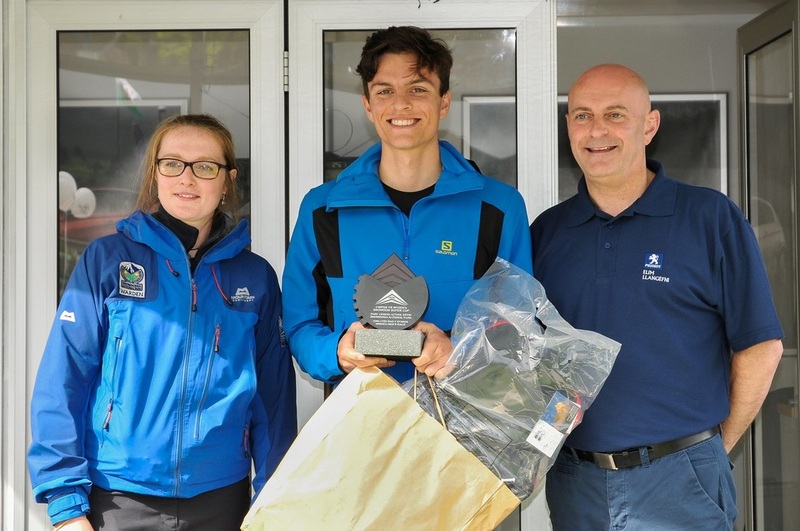 The race was won by 19 year old Alex Money of Orpington Road Runners. TAC finished last of the six teams, with a severely weakened team. However, amongst the results were some excellent individual performances, including an A string under 20 double win by Toby Ralph, over 800m and 1500m. 5th Round of the Park Run age graded GP, saw Andrew Mercer produce a PB in his 106th park run, 84.23%. Olukorede Fasina also produced a PB run of 77.63%. Andrew will a large turn out of TAC runners and probably another PB at one of the remaining events to close the gap on Sophie and Lily Slack. Sophie and Lily Slack continue to dominate the scoreboard after another couple of over 80% scores. They have both run 4 qualifying races, so have set a target for others to try and reach, pb’s will be required!! Andrew Mercer won on the day and also flying the flag for the older generation was Mark PK with a PB bonus. Next qualifying race is this Saturday, 25th June. The latest league table is on the Parkrun page. George Duggan won the City Mile and £100 first prize in 4.15.84, with a 58s final lap, as he raced for the first time for five weeks. The BMC have resurrected this historic race, that had been held before at Motspur Park and won by the likes of Steve Ovett in the past. 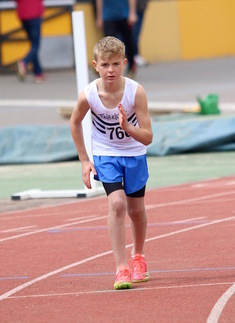 TAC had four runners in the 800m races and Tom Holden was close to winning the A race, as he finished second in 1.52.7, just outside his personal best. 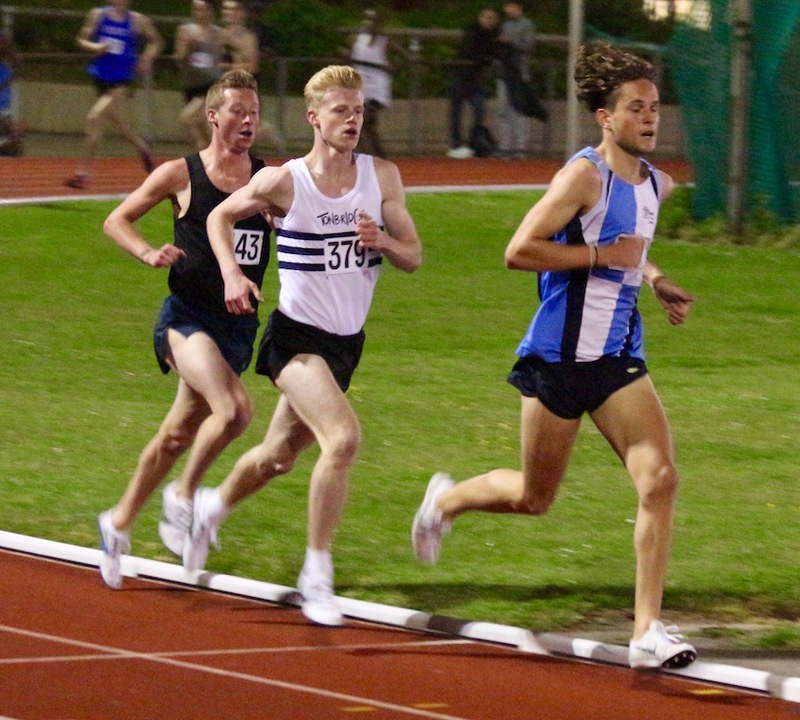 Kieran Eland then looked the best that he has done all season, as he strolled away from the rest of the field in the C race to win in a pb of 1.56.3. 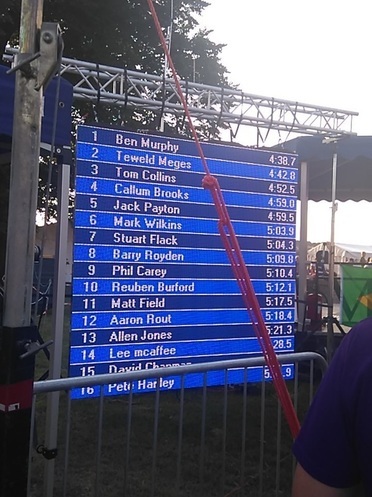 ​Michael Ellis won race E with a pb of 2.01.3, whilst Jack Keywood ran 2.03.0. 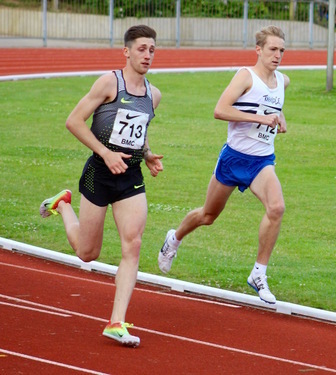 James Puxty won the overall 3000m race at Dartford in 9.38.95, whilst Dan Blades was 3rd in 9.46.65. Lucy Thompson took 3.5s from her personal best to finish 2nd in the under 20 women's event, with 10.54.14. Full results, including quite a few TAC are on the Results 2016 page. 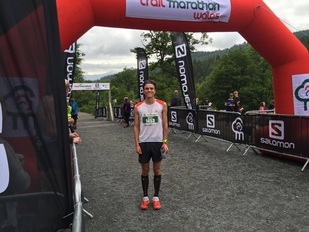 ​Max Nicholls and Brian Buckwell ran the in half marathon trail race Wales.This was the 5th edition of the Salomon Trail Marathon Wales, which had full (26 mile / 42km) and half (13mile / 21 km) marathon race routes in the stunning trails and tracks of the world-renowned Coed y Brenin forest in the Snowdonia National Park. So far I know Max won and that Brian ran 2.16 for 9th in his age group, but cannot find results on line. 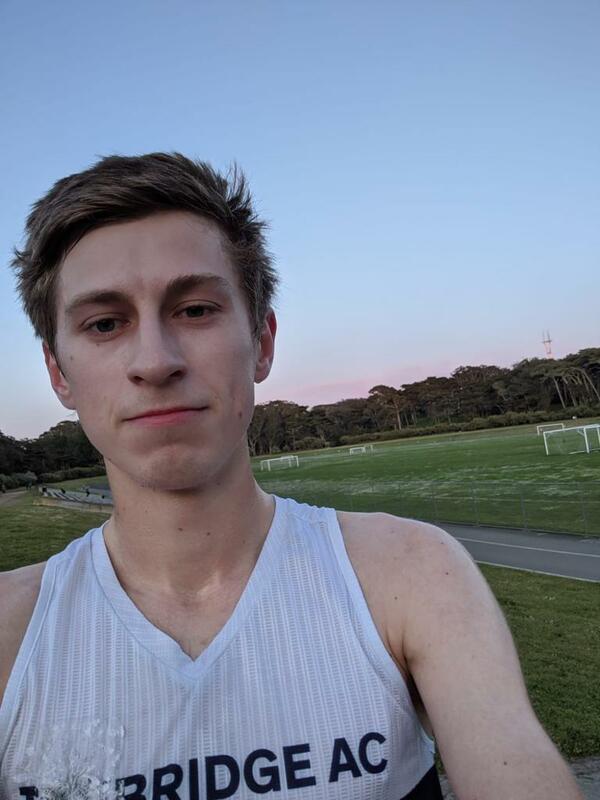 I will add more details when I get a chance, but there were three more TAC distance running medals today, that came in the form of Tom Holden (u20 1500m), Kathleen Faes (3rd u20 3000m) and Nicole Taylor (2nd u23 3000m steeplechase). Full results are now on the Results 2016 page. There were a mass of personal bests in the middle distances. In total I made ten. Steph Puxty was the biggest of these as she improved her 800m to 2.37.6. There would have been one middle distance A string win, but unfortunately Olukorede Fasina was disqualified for breaking lane too early in the under 13 boys 800 metres. Day 1 of the championships was a good one generally for TAC. Alex Howard stole the TAC show at the end of the day by picking up the silver medal in a closely contested 3000 metres steeplechase. Alex ran a pb of 9.02.48, improving by 2.7 seconds, but also significantly inside the Olympic Trials/British Championships qualifying standard of 9.05. 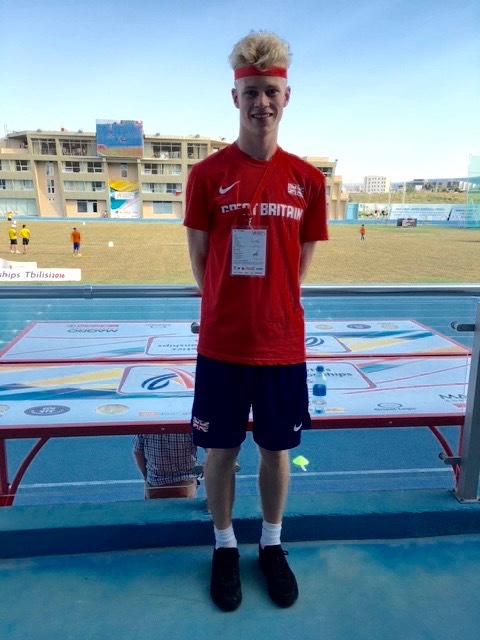 Alasdair Kinloch captured a very good bronze medal in the under 20 mens 3000 metres in 8.29.14. He ran inside the European under 18 qualifying standard and defeated his main rival in the age group. Hopefully, Ally will gain GB selection as a result of his performances. 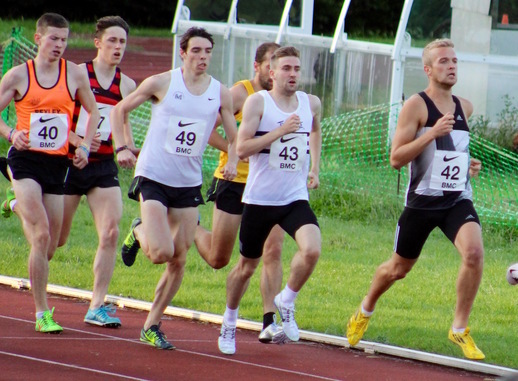 The 1500m races went well with all three from Tonbridge AC qualifying for Sunday's finals. Firstly, our new recruit Tom Holden made the under 20 final and then both Dominic Brown and Chris Olley moved into the under 23 final. Becky O'Hara was 5th in her 400m heat in 57.68, despite being layed low with illness a couple of weeks back. Corey De'Ath was well below his par in the under 23, 5000 metres. 800m 2nd A Ben Murphy 1.57.6, 2nd B Tim Faes 2.04.2. Full results are now on the Results 2016 page, with TAC highlighted. Lizzie Miller took 0.5s from her 1500m pb. Hopefully, this evening will prove a significant one in terms of TAC middle distance running with a couple of superb runs from our athletes. 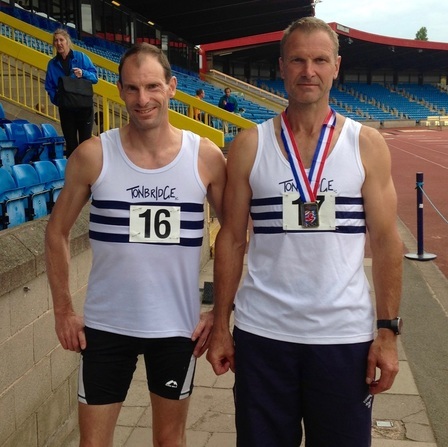 James West and Sean Molloy posted two of the fastest ever times by Tonbridge runners, at 1500m and 800m, respectively. James ran 3.40.0 to finish second in a national quality field, only losing to Tom Farrell. 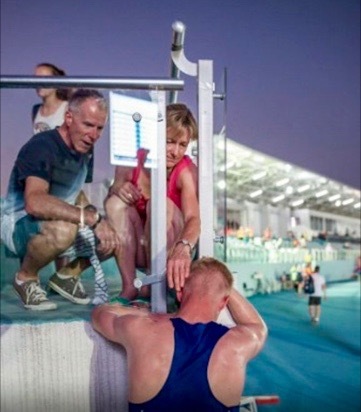 Unfortunately, for James the electronic timing system malfunctioned for his race, so they reverted to the manual times, probably denying him a sub 3.40 clocking. James goes to second on the TAC all-time list behind Andy Graffin's club record, listed at 3.36.80. Andy went to the Sydney Olympics that year. There was some debate anyway as to the exact timing that Andy Graffin and his twin brother, Allen, moved from TAC to Belgrave. However, James' time is still quicker than Allen (3.40.14) ever ran, aswell as quicker than the likes of David Robertson (3.40.9 for TAC) or Matt Skelton (3.41.8) ever managed. Will Crocker, visiting from the USA, also wore a TAC vest to race the 1500m, but was under par and well outside his pb of 3.42. In many ways Sean's 800m time of 1.49.05 could be as significant, since it is his fastest since 2012 and second best ever. Its been a real battle for him to live up to his UK age 16 best of 1.48.24, but this shows he can get back and beyond that sort of level. Sean remains as TAC number two all-time, to Steve Fennell's club record of 1.47.97. 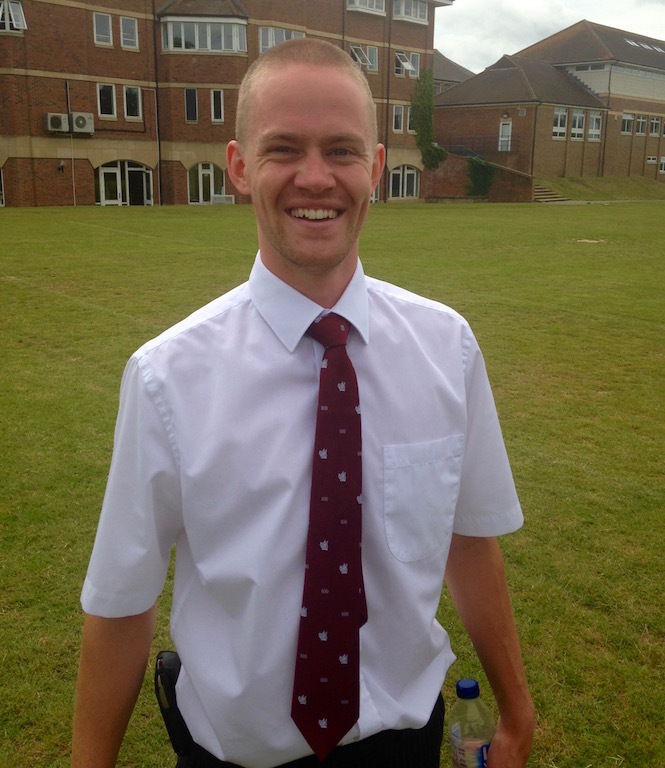 ​Also racing was Ben Murphy, in the open meeting 800 metres, who ran 1.56.48 for a personal best in race 22, of 25. Dominic Brown was 4th in the North of England Mens 800 metres final in 1.56.37. Max Nicholls went out to the French Alsace for a mountain race on Sunday. La Montee Grand Ballon is a famous uphill course of 13.7km. Max came 9th (1hr 4m)overall, first in his age category (around 300 runners). Winner was Petro Mamu of Eritrea (59.03). Jess Owen completed the Olympic Park 5k on Sunday and was 3rd female in 22:15. Jess is making good, steady progress after an operation and will hopefully continue to move forward. There were two more medals for TAC distance runners, on day two of the championships. Phoebe Barker won the under 17, 3000 metres in a new personal best of 9.56.43. having had to front run the entire race. At the finish Phoebe was 20 seconds clear of the runner-up. Miles Weatherseed gained a silver medal in the under 20 men's 1500 metres, with a time of 4.00.82. In the mens' 1500m final Luca Russo was 7th in 3.52.66 and Corey De'Ath 12th in 4.00.47. ​Kieran Eland placed 5th in the under 20 mens 800 metres final in 1.59.40. Full results are now on the Results 2016 page. I made it somewhere around 15 personal bests from TAC Distance Runners. Mens 1500m videos loaded ! TAC Masters Men and Womens teams both won their respective Div 2 matches of the 4th Kent SCVAC league on Friday. 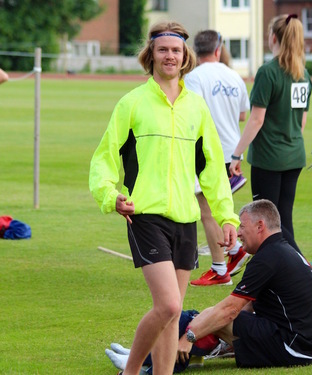 Stand out performances were Di Bradley in the 2K walk, Ben Reynolds M50 62 sec last lap of the 1500m, 1500m Pbs for both Emma Avis and Lucy PK and Club records for Pete Brenchley in the M70 Javelin and Richard Christian M50 2k walk. James West finished second in a high quality 800 metres, in 1.50.52, which was just 0.04s away from the win and a fraction outside his pb. New member Tom Holden was fourth in the same race, reducing his pb to 1.52.29. 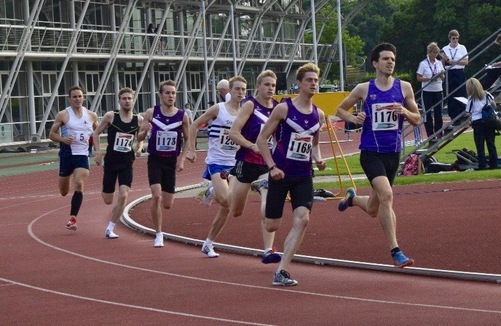 James West finished 2nd at Loughborough with new TAC recruit Tom Holden (second from left) placing 4th. Amazingly the storm brewing, for much of the evening, did not unleash the rain seen in some parts and conditions were extremely good. By my calculations there were about 27 personal bests from TAC Distance runners, either in the 200, 400, 800 or 3k, plus 15 debuts on top of that. 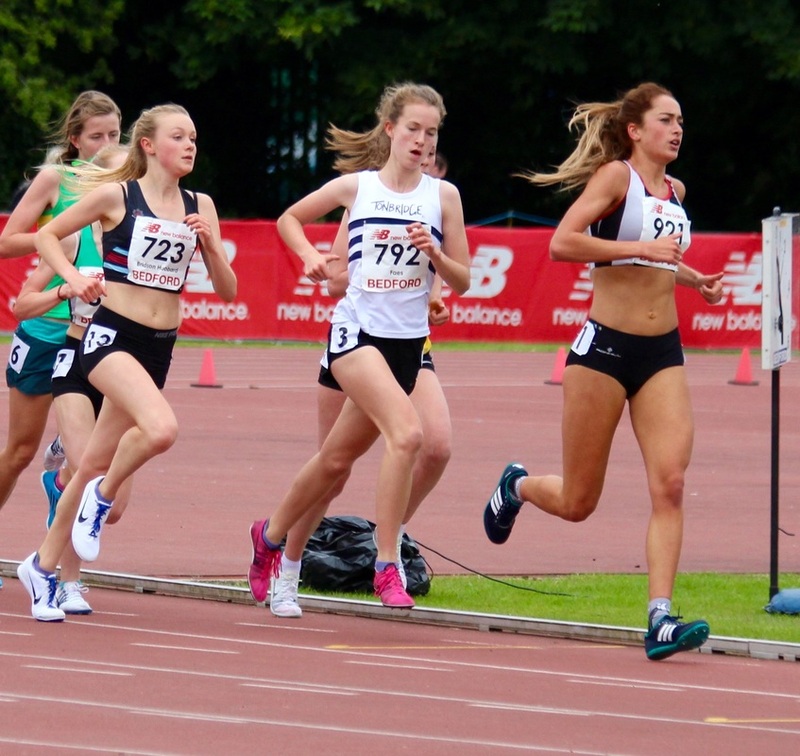 The 800m was the most popular, with some of the biggest pbs recorded by George Fisher (u15), Jamie Thompson (u17), Emily Hale (u20) and Ella de Munck (u13). The fastest run came from Will Crocker, who is over from the USA, where he has been at university, with our own Luca Russo, at Missouri. Will is a 3.42 1500m runner. The fastest of the TAC girls was Rebekah O'Brien (u15) with 2.24.51, who I have always suspected had the capability of a fast 800m. In the 3000m there were some very encouraging debuts from Clara Tyler (u17) and Fraser Gordon (u15) , whilst Luke Reeves (u17) took almost half a minute from his best time. You can see all the pbs and times in the summary on the Results 2016 page. Looking through the results it appears to have been a very busy day, with the TAC division 1 team placing 2nd of 8 clubs and the division 2 team 3rd of 7 clubs. Ollie Croll (u13, 2.31.3) and Katie Burgess (u15, 2.26.2) were the two TAC 800m winners in division 1, with Ollie taking an impressive 10 seconds from his pb. There were big pbs also for Olukorede Fasina (u13) in 2.22.0, James Kingston (u15) in 2.16.0 and Luciana Anderson (u15) 2.39.9. 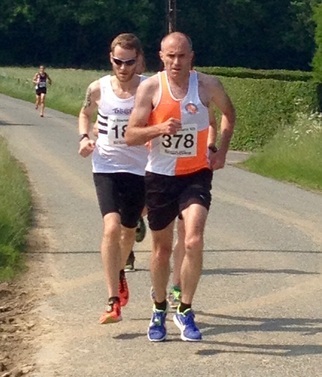 Dan Bradley led the TAC group home with 6th place in 34.38, whilst Shauna Paice was 2nd female in 41.04. Jamie Brown was just outside his pb when he ran 89.44 for 600 metres at Newham, to finish 3rd. Dan Bradley finished 2nd in this event in 27.19, with Michael Ellis having a very good run for 4th in around 27.39.